We are so busy with sports already that I have barely had time to breathe let alone fix a meal. My kids always want to run out and find something to eat. But I have decided to try and make dinner happen at least 6 days a week without running to a restaurant or fast food place. I try to keep things fairly simple, but sometimes you want something fun and out of the ordinary. This month I wanted to try a few meals that seemed like they were from a restaurant but were indeed home made and much better for my busy family. 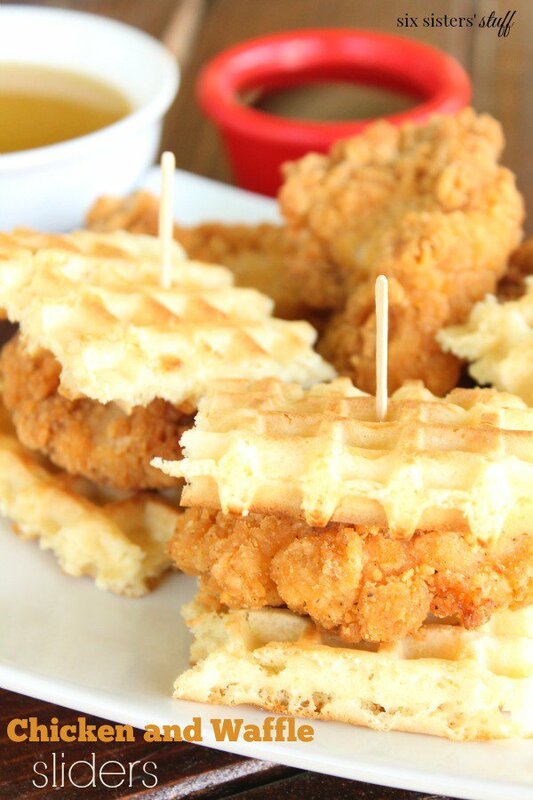 I found some amazing ideas, including this fun twist on chicken and waffles. Now if you have not tried chicken and waffles you absolutely have to! You do not know what you are missing. It sounds odd, but it is delicious! This fun and simple recipe from Six Sisters Stuff is perfect for busy nights. You can even make it a little healthier by substituting the waffles for whole wheat Eggo’s, by making them from scratch, or you can purchase Kodiak Protein Waffle mix (they even have a gluten-free version!) and simply make the waffles with a waffle iron (just add water!). You could also make your own fried chicken, but as I said — WE HAVE BEEN BUSY!! It is definitely better than going to a restaurant, waiting for our order, paying for meals for 5-6 people, and having no control over the portions or if it is is gluten-free (since I now have to eat gluten-free for health issues). As I said, life is busy and complicated. I love that no matter what I can find small ways to make it a little bit easier. Be sure to check out the Six Sisters Stuff for the full tutorial and recipe. It will NOT disappoint! This entry was posted in Food & Recipes and tagged chicken and waffle sliders, chicken and waffles, dinners, easy dinners, fall dinners, food, recipes, simple dinners, six sisters stuff, the boys store, winter dinners on September 4, 2018 by Lacy.